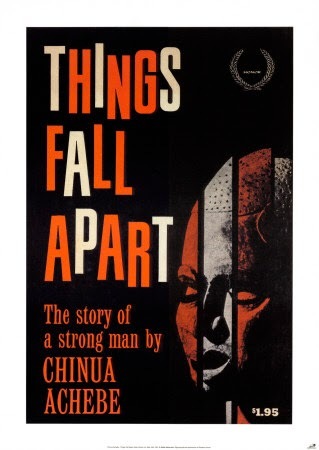 The very first novel that I ever taught a very, very, long time age, back in Detroit, Michigan was Things Fall Apart by Chinua Achebe. Back then, I absolutely loved that novel and taught it with my whole heart. At my current school, Things Fall Apart is a novel that we teach to our 10th graders, and I am super excited to be able to teach this novel again. I just finished reading it again, and it is still as captivating to me as it was many years ago. The novel is set in the 1890s in Nigeria and portrays the clash between the Christian belief and the Nigerian culture. The Christians wanted to show the Nigerians that things such as leaving twins in the woods to die was wrong, that there is only one God, that there was nothing evil about the evil forest. However, the Nigerians had traditions that they have had for a very long time, and many wanted to maintain them. This book made me think about change and how change is very difficult for individual people, and it is definitely difficult for a collective group. 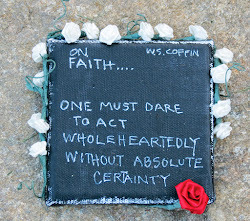 Also, I thought about the idea that even when people's intentions are good, Things Can Fall Apart. What I love about this novel the most is that after reading it, I have a lot to think about, and I am grappling with the idea of if it is ok to let people live the way they want to or should there be interventions in place to help people see things from a different perspective. This is a novel that can spark great conversations because Achebe does not give us a clear answer. I am excited for next week, because I will be reading this novel with my students, and I can't wait to hear their thoughts! This is the Day... Rejoice and Be Glad! My next read is Quicksand by Nella Larsen. I was looking for some other book at a book shop, but didn't find it. I had never read any African literature before. When I saw this book I had no idea about Chinua Achebe, but just thought of giving it a try. After reading the first few pages I knew that I have stumbled and a good piece of literature. Achebe's style of writing is exemplary. He manages to convey a lot with fewer words. The story is about the erosion of the Aftrican (Igbo) culture because of the colonialism by the British. 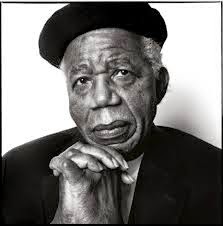 Though Achebe is not critical about the British, he does feel that they did anhiliate other cultures and religion, and spread their culture and religion as the true ones. In this process, things did fall apart for many a cultures and religions across the globe and Igbo is one of them. The welfare of humanity is more important and an urgent need than the spread of ones religion or philosophy, and the defeat of all others. Yes Neha, you definitely stumbled upon a good piece of literature. I sooo agree with your comment..
You know this is the first book of a trilogy? I didn't realize that until well after I read it. I plan to finish all 3 books but I want to re-read Things Fall Apart and go straight through. Plus, I can't remember why but I do remember feeling rushed when I read it the first time. I had no idea that this was part of a trilogy... I must find the other two books. I've taught it a lot, and students love it.